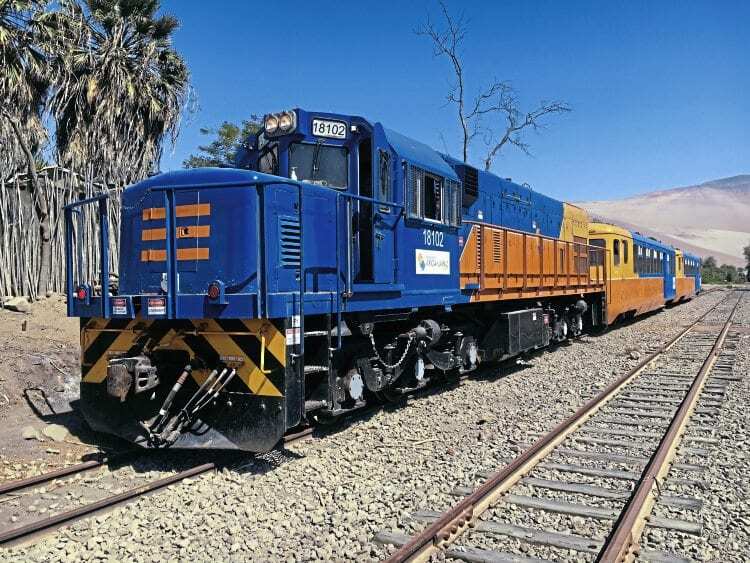 ARICA, located on the Pacific coast in the north of Chile, is the terminus of two railway lines to neighbouring countries; both lines have seen passenger services restored recently after years without regular services. Arica was formerly in Peru when that country gained independence from Spain in 1821 and the first railway from Arica, north 62km to Tacna, was built by 1856 by British based investors initially with a long term operating concession. Following the War of the Pacific between Chile and Peru/Bolivia (1879 to 1884) the line was in territory administered by Chile; after subsequent diplomatic agreements in 1929 Arica became part of Chile, while Tacna at the northern end of the line was returned to Peru. Under the terms of the 1929 treaty, Peru gained control of the operating company for the route once the initial concession expired, and since 2005 this has been managed by the regional council in Tacna. Passenger services on the line resumed in June 2016 with two train pairs a day, after ceasing in 2011/12, using a modernised railcar originally built in the UK by Sentinel in 1936. A railway museum exists alongside Tacna station which is currently closed for remodelling.